LED panels Combined with an easy-to-use interface,wide format support, and the simplicity of automatic playback offers a high quality resolution. You can schedule the time when your frame is on/off as 10 minutes/20minutes/30minutes later or'never'without worrying bout energy wasting. Photoes display in slide show mode once a memory card is inserted when the Autoplay is set as"Photo". You can set the background music when you're browsing a photo;or you can set to play the music or movie alone. 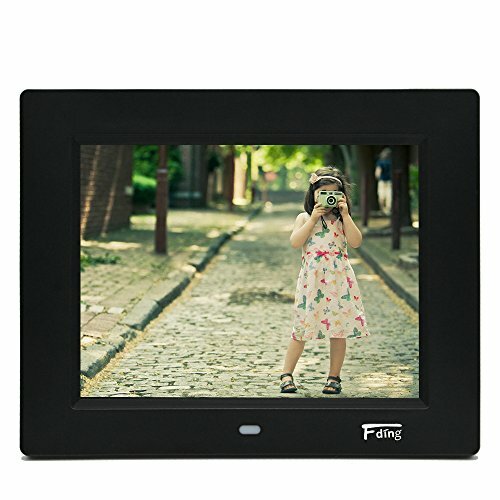 This frame has a small remote control and buttons on the back of the frame to complete all tasks without touching the screen. If you have any questions about this product by Fding, contact us by completing and submitting the form below. If you are looking for a specif part number, please include it with your message.